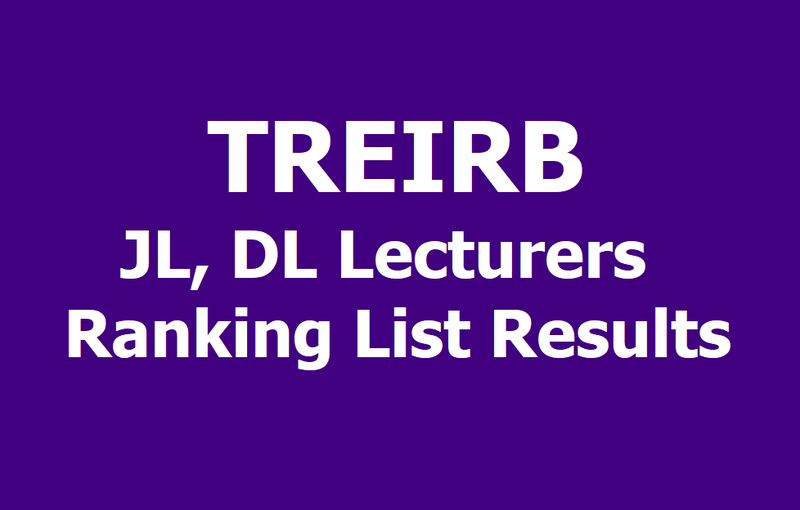 TREIRB JL Junior Lecturers, DL Degree Lecturers Ranking List Results with marks are 2019 Released at treirb.telangana.gov.in: TREIRB has released the JL, DL Posts Recruitment Exam Results with Marks and Final Answer keys on March 16, 2019. Results are enabled from March 19, 2019. Now, The Recruitment Board has released the JL,DL Posts Recruitment Exam Ranking List Results on March 25, 2019. Ranking list results are enabled from March 26 at Board Website. The candidates who have appeared for the Degree Lecturer Posts Recruitment examination can download their Ranking list Results and Results with Marks by log in to the website. The TREIRB is conducting this examination to recruit Degree Lecturer (DL) posts across the state. The recruitment will be done on the basis of the written test results and interview rounds. How to Check the DL Results 2019?